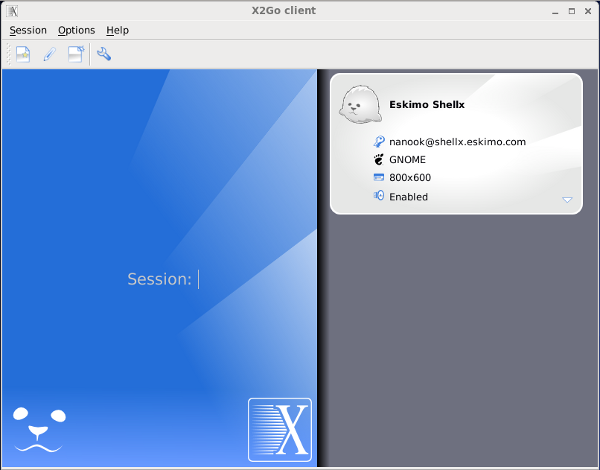 X2Go provides a fast secure remote desktop with sound. It work over dial-up or broadband. With broadband, it comes close to being at the console. Even full motion video with sound is possible. On MacOS, X2Go requires XQuartz. The native X servers provided with Mac OSX 10.7.5 and earlier do not work properly with X2Go. Install XQuartz, (available free from the Mac Store). In order to have sound support on Mac systems, you will need to install Pulse Audio yourself. For Windows or Mac, download the X2Go client from the X2Go Download Page. For Linux, follow the instructions on the X2Go Installation page. The newly created session will now appear on the right side of the client window. Click on it to connect. 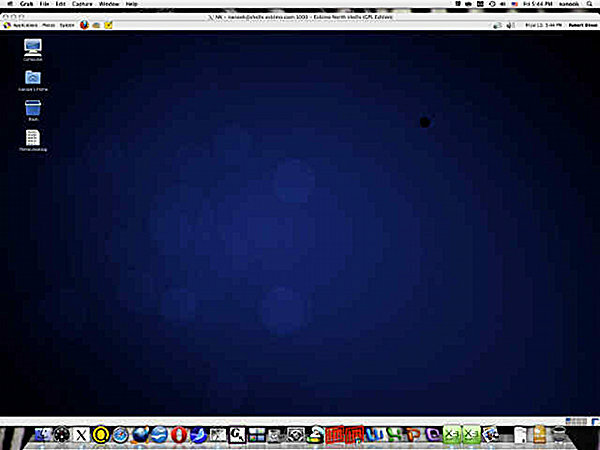 Your session should come up with a Desktop similiar to the image below (except the dock won’t be present unless you are using MacOS X). Enjoy! To end the session and logout, click on your username in the upper right hand portion of the screen. If you don’t have a shell account here, now is an excellent time to find out what you’ve been missing! Apply for a free two week trial!